Today’s YouTube COTD is Melissa playing tricks on your board. 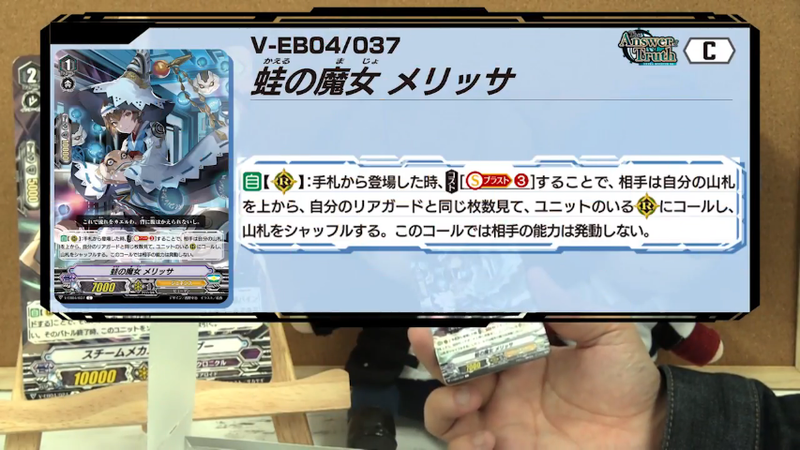 AUTO (RC) When placed from hand, COST [Soul Blast 3], your opponent looks at the same number of cards from his or her deck equal to the number of rear-guards they have, calls them to (RC) with a unit, and shuffles the deck. The units called this way cannot activate their abilities.